Simon Amstell’s semi-autobiographical film Benjamin is a quirky love story, a beaming romantic comedy. It’s a tale of self-discovery and taking risks in both love and art whenever they present themselves. It’s also ceaselessly natural, a subtle raw quality emanating throughout that is very reminiscent of films like Once and Blue Valentine. It’s a true slice of life, as though we’ve been thrown into a private and very precious moment in time, a blend of memories and beautiful encounters. Thus, the interactions between characters and the situations they’re wrapped up in feel extremely organic and often hilariously relatable. In it, we follow Benjamin (Colin Morgan), a shy, geeky and gifted upcoming film-maker on the brink of his second release. It’s been seven years since his first success and as the premiere looms he becomes increasingly overwhelmed by self-doubt and fear of failure. Meanwhile, paralleling this anxiety, he begins to fall in love with exotic and alluring singer-songwriter, Noah (Phenix Brossard), a French music student at Guildhall. Refraining from being your typical first love/coming of age story, Benjamin is also about surviving in the modern-day arts world. 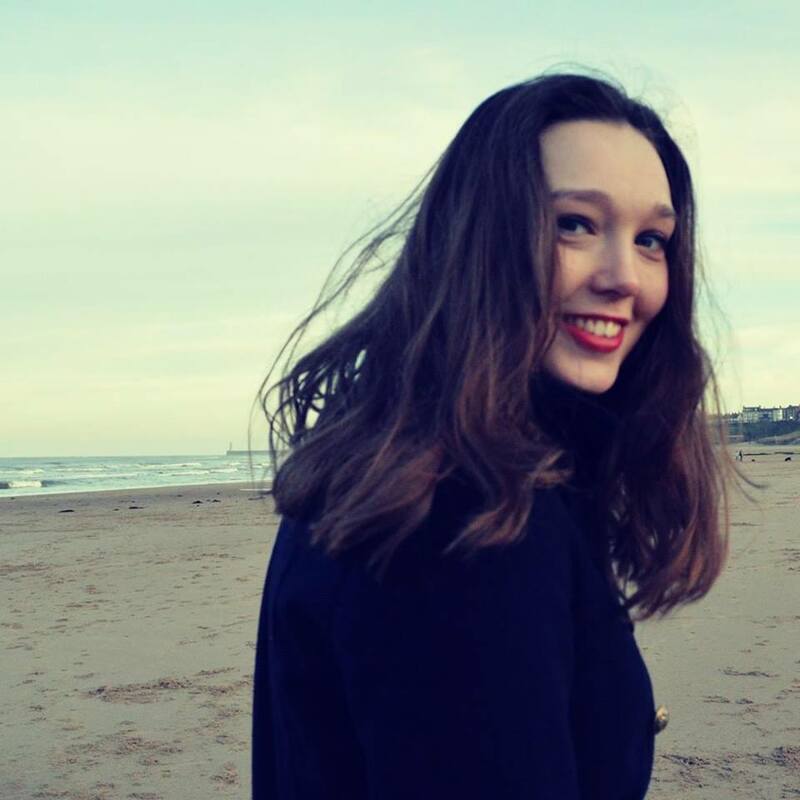 We also meet aspiring young actors, musicians and stand-up comedians – where’s your place amongst the many other hopefuls who are just like you? The film brings a stark and unflinchingly honest tone, revealing the unutterable fears that plague most creative people’s consciences. For example, when Benjamin bluntly confides in a hilariously dead-pan manner, “When people say they like what you did, it’s best to just stop doing it so they can start hating you. Ideally, I’d have just made that first film and died.” Throughout, the film playfully tiptoes the line between tragedy and comedy, the consistency always lying in the truth of both and how often they seem to intertwine. 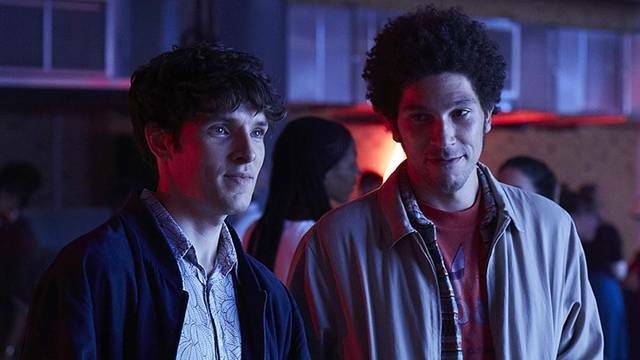 Writer of BBC Two’s Never Mind the Buzzcocks, Simon Amstell’s script is gloriously moving and witty, sparkling with understated melancholy – an echo of Richard Curtis’s work in About Time and Notting Hill. It also never takes itself too seriously, unearthing all manner of humorous ironies that pervade our day to day lives. For example, it cheekily laughs at the overlap that can occur between creativity and pretension, such as in the very earnest performance art scene featuring a fantastic cameo from Ellie Kendrick and a large roll of paper. The show is awkwardly underwhelming, though Benjamin seems to be the only one to see this, raising his eyebrows at the stunned, fevered clapping that surrounds him. Sifting through the mounds of superficial ingenuity in order to find true gems proves quite the task in the arts world… until Benjamin finds Noah. The warm chemistry between the two leads proves truly sweet and affecting, both giving strong, yet understated performances. Morgan’s comic timing, in particular, was impeccable, capturing an endearing social awkwardness that led to many uncomfortable though funny moments. For example, upon first meeting Noah and learning he is French, he rambles, “You’re French too, that’s exciting isn’t it? I’m a big fan of Les Mis.” Noah nods politely, and thus, one of the most touching onscreen romances of late ensues. Honourable mention must also go to Jessica Raine’s scene-stealing performance as Billie, Benjamin’s bustling, facile publicist. In it, she provides fantastic moments of hilarious spit-fire energy, contrasting greatly to the melodic, lulling tone of the film as a whole – perhaps emphasising how Benjamin is too precious for the restless world that engulfs him. It’s also a film tinted with moving nostalgia. The many scenes of cheap bar-hopping and drifting around various arts events and indie gigs felt all too reminiscent of not too distant university days; it was lovely to see again. Overall, Benjamin is truly life-affirming, a story about trust, being brave enough to fall in love and most importantly, not allowing your fears to paralyse you from living your life. As the late, great Carrie Fisher once said, “Stay afraid, but do it anyway. What’s important is the action.” For any aspiring artist, whatever medium you may roam, this is a film for you.